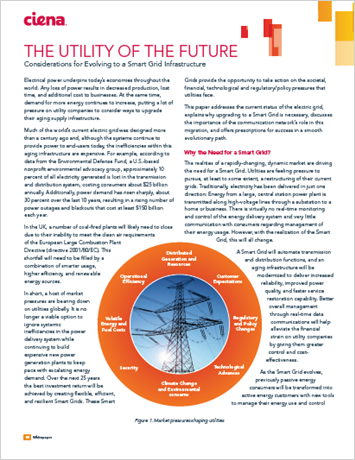 Electrical power underpins today’s economies throughout the world. And demand for more energy continues to increase, putting a lot of pressure on utility companies to upgrade their aging supply infrastructure. This paper addresses the current status of the electric grid, explains why upgrading to a Smart Grid is necessary, discusses the importance of the communication network’s role in this migration, and offers prescriptions for success in a smooth evolutionary path.